You are here: Home › Forum › Girls' Education › Are Girls overtaking Boys in Education? According to UNESCO’s 2012 Education for All Global Monitoring Report (GMR), the world has achieved gender parity in enrolment at both primary and secondary levels. Gender disparities remain at the country level, but the number of countries where boys outnumber girls in secondary school is now balanced by the number where girls are in the majority. The report also gives evidence indicating that girls are overtaking boys in learning. Girls are performing better than boys at reading at primary and secondary levels, and that the gap is widening. Boys are still slightly ahead in mathematics, but the gap is smaller and narrowing. 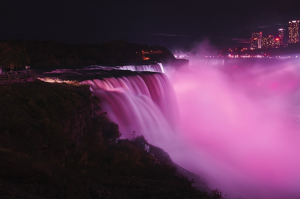 On 11th October 2012 Niagara Falls, the Pyramids at Giza and the London Eye went pink for the first International Day of the Girl. It saw the launch of the State of the Worlds’ Girls’ 2012 Report: Learning for Life by Plan International. The report calls for additional funding mechanisms aimed specifically at girls’ education, and for gender equality in education to be included in any post-2015 MDG framework. But if the world has already achieved gender parity, and girls appear to be overtaking boys in education, is further funding and action still necessary? Learning for Life is a timely report as it raises major unresolved problems around girls’ education that get lost in the global statistics. Girls’ education needs to remain high on the international agenda firstly because girls remain highly disadvantaged in the poorest and most vulnerable communities. In low income countries fewer girls than boys are enrolled in school. In sub- Saharan Africa there are only 4 girls to every 5 boys in secondary school and there has been no progress in gender parity since 1999. Discriminatory practices in schools and homes, including a disproportionate burden of household chores, mean that girls have less encouragement and less time to learn than boys. This can cause girls to fall behind in their learning. In many countries, including Tanzania, Ethiopia and Sierra Leone, girls underperform compared to boys in national examinations. This limits their access to secondary school and higher levels. Secondly, the repercussions of missing out on quality education are more severe for girls. Uneducated or poorly educated girls face higher chances of early and forced marriage, early pregnancy and childbirth, death in childbirth, exposure to gender based violence and denial of their rights and freedoms. Learning for Life argues that primary education is not sufficient to secure girls’ rights and future safety, and calls for a minimum of nine years basic education. The third reason for keeping girls’ education on the agenda is that gender parity does not automatically translate into gender equality. Gender equality in education is not simply about equal numbers of girls and boys enrolled. It is about equal encouragement to learn, protection from gender based violence, and ensuring that schools challenge rather than perpetuate gender inequalities within society. If it is gender equality in education that we are aiming for, and not simply gender parity in enrolment rates, there is a long way still to go. What should be prioritised and what initiatives are you following? Transforming girls’ education: how do we advance measurements of ‘success’?